The capacity for leadership exists within each one of us. It is a high impact, life and career changing process that delivers lasting, meaningful changes to help you achieve your individual and professional ambitions. It is specifically designed for high potentials and executives who are moving into higher levels of leadership and responsibility. and impacts both your personal and professional success and achievement. This confidential, one-on-one development process explores your goals, values, passions and strengths and aligns you to your – and your organization’s - vision of success. The result is the illumination of a path to fulfill your greatest potential, maximizing your strengths; avoiding self-inflicted pitfalls; and achieving the success and growth you envision. "i3 coaching is all about maximizingYOUR potential and talents to reach the highest levels of success and ‘wins’ in your life and career". 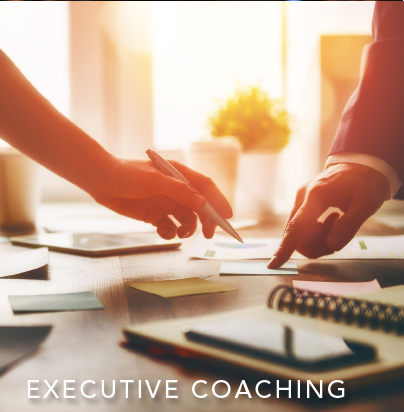 Having an i3 coach is like having your own personal navigator for your life and career journey. An i3 coach helps you chart your course and reach your destination. Imagine having someone in your corner who is totally committed to your success. Imagine a relationship that places the total focus on you, achieving your career and life goals and helps you clarify your dreams, aspirations, passions, and values. i3 coaching helps you define what leadership and success mean to you, and gives you the tools to achieve it. While much has been written about leadership, it remains for many a misunderstood and elusive quality. The capacity for leadership exists in everyone, but most people never take the time to develop it. A leader combines the vision and curiosity of a dreamer - with the practical engineering of a builder. A leader knows their own strengths and challenges and is goal directed, looking forward with anticipation toward the attainment of measurable outcomes. A leader is a person who communicates, interacts and manages self and others with integrity, openness, trust and vision. A leader sets goals and achieves results. Motivation, attitude, alignment to strengths and goals give an effective leader meaning and purpose, and serve as a continuous source of success and achievement in pursuit of organizational, team and individual success. We take a very close look at where you have been, where you are, and where you want to go. It’s about discovering your most genuine and authentic self, understanding your strengths and challenges – and unveiling the vision you have for the future. This self-discovery includes readings, assessments, discussion and self-disclosure about enhancing your leadership “quotient”. A number of assessments are used to create an initial “inside-out” view of how you see yourself as a leader. The assessments include Strengths Finder profile, the Attribute Index (the “what” of who you are); the Values Index (the “why” of what you do); and the DISC Index (the “how” in the way you do what you do). The Leadership Practices Inventory (LPI) 360 assessment is also available. We ignite your leadership development through the integration of your new self-knowledge, your vision and your mission. You can then begin your journey into personal and professional leadership development from a strategic view. Your life and professional ‘plans’ start to come together as you begin to clearly focus on and articulate your strengths, passions, vision of the future and your most critical goals and what it will take to achieve them. We create and develop your specific goals and action plan for moving toward your vision in both the short and long term. This is where your strategic plan starts to actualize – with specific goals, actions, timelines and accountability – you navigate, guide and align your life, your profession and your success for maximum impact and achievement. Each i3 coaching program is customized to meet your individual needs, wants and outcomes. After our initial meeting and in-depth discussion, we will determine the best course of action and design a coaching program specifically for you.